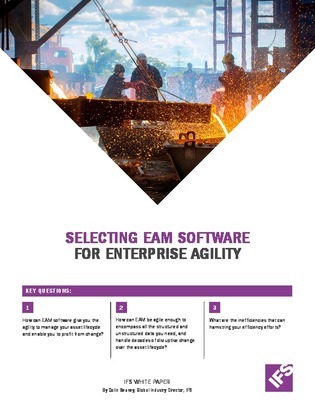 The right enterprise asset management (EAM) software can help businesses reliant on capital equipment ensure asset availability and maintenance for years—that’s why it’s important to make the right choice. Does my EAM support a provable lifecycle? Can external parties collaborate through my EAM? Is my software compatible with mobile platforms?